"With their tremendous scope of services and highly integrated model, both Dignity Health and Hill Physicians Medical Group are ideal partners as we continue to create a better health care experience for our members." SACRAMENTO, Calif.--(BUSINESS WIRE)--Improved health and more coordinated care for Humana’s Medicare Advantage members in Sacramento, Placer and Yolo counties is the goal behind a new fully-accountable, value-based partnership between Dignity Health, Hill Physicians Medical Group and Humana Inc. (NYSE: HUM). The relationship is based on a shared vision to promote evidence-based, highly-integrated care, which can lead to improved medical outcomes, a better patient experience and lower costs. The new effort is expected to result in more coordinated care with an increased emphasis on preventive services for Humana Medicare Advantage members in Sacramento, Placer and Yolo counties. Humana offers Medicare HMO plans, a prescription drug plan, and Medicare supplement policies in these counties. Hill Physicians Medical Group was formed in 1984 and is the largest independent physician association (IPA) in northern California. The IPA has a network of more than 3,800 physicians and other healthcare providers, and offers extensive health education services to its patients, including wellness classes and health screenings. The Hill Physicians network serves nine Northern California counties, including Sacramento and parts of Placer County. Mercy Medical Group is a service of Dignity Health Medical Foundation. Founded in 1948, it is a multi-specialty group with 20 office locations throughout the greater Sacramento area providing service to thousands of patients and its affiliated Dignity Health hospitals. Mercy Medical Group offers comprehensive outpatient services ranging from allergy and immunology to medical oncology at their state-of-the-art Cancer Center. Woodland Clinic is a service of Dignity Health Medical Foundation. Founded in 1967, it provides a wide range of services in six locations throughout Woodland and Davis, California. Comprehensive outpatient services through Woodland Clinic range from adult day health services to pediatrics and internal medicine. Through Hill Physicians Medical Group, Mercy Medical Group and Woodland Clinic, Humana’s Medicare Advantage members will have in-network access to Dignity Health facilities, including Mercy General Hospital, Mercy San Juan Medical Center, Mercy Hospital of Folsom, Methodist Hospital of Sacramento and Woodland Memorial Hospital. The new Dignity Health, Hill Physicians Medical Group and Humana agreement will bring better patient care coordination, more cost effective, quality care and a world-class patient experience to Humana members in California. The arrangement will offer more personalized care and a broad range of population management tools like predictive analytics and chronic care, disease management and wellness programs. In addition, the Dignity Health, Hill Physicians Medical Group and Humana agreement emphasizes quality outcomes with a focus on care coordination and leverages measures as defined by the National Committee for Quality Assurance Healthcare Effectiveness Data and Information Set like diabetes care and treatment, breast cancer screenings, colorectal cancer screenings and high-risk medication. 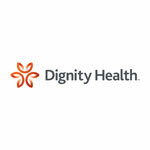 Dignity Health, one of the nation’s six largest health care systems, is a 21-state network of nearly 9,000 physicians, 55,000 employees, and more than 380 care centers, including hospitals, urgent and occupational care, imaging centers, home health, and primary care clinics. Dignity Health Medical Foundation, established in 1993, supports 13 medical groups and imaging centers in Northern, Central and Southern California, with 642 physicians. Headquartered in San Francisco, Dignity Health is dedicated to providing compassionate, high-quality and affordable patient-centered care with special attention to the poor and underserved. In 2013, Dignity Health provided nearly $1.7 billion in charitable care and services. For more information, please visit our website at www.dignityhealth.org. Hill Physicians Medical Group is the largest independent physician association in California and a recognized leader in innovative healthcare, including successful Accountable Care Organization arrangements for commercial populations. The Standards of Excellence Program of the California Association of Physician Groups recognizes Hill Physicians as a leader in patient-centered care, care management practices, health information technology, accountability and transparency. Committed to serving healthy lifestyles, Hill Physicians Medical Group offers extensive health education services to its patients, including wellness classes, health screenings and self-help through its online information portal at www.HillPhysicians.com.